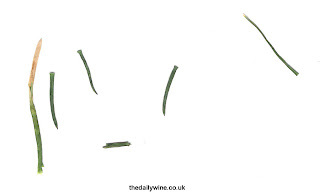 "Cut Grass lies frail: Brief is the breath, Mown stalks exhale"
HERE ARE six strands of Central Park, enveloped to my Blackheath door by a young lady still in the 'Big Apple'. A stylish gesture. Below Dijon and above Fixin, Marsannay to most means rosé, it being the 'stomach' of France's only still pink producer. 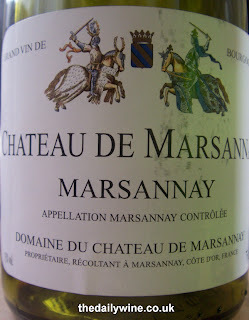 This 2000 from Château de Marsannay [£9.99, Majestic] is however red. 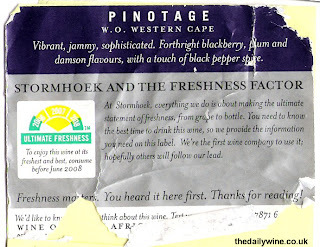 It impressed me with its finesse: a noticeable - but unobtrusive - tannic structure was wrapped around ample but never clumsy mature raspberry fruit. It took two decanter-days to fully ripen.